A magisterial, myth-dispelling history of Islamic Spain spanning the millennium between the founding of Islam in the seventh century and the final expulsion of Spain's Muslims in the seventeenth In Kingdoms of Faith, award-winning historian Brian A. Catlos rewrites the history of Islamic Spain from the ground up, evoking the cultural splendor of al-Andalus, while offering an authoritative new interpretation of the forces that shaped it. Prior accounts have portrayed Islamic Spain as a paradise of enlightened tolerance or the site where civilizations clashed. Catlos taps a wide array of primary sources to paint a more complex portrait, showing how Muslims, Christians, and Jews together built a sophisticated civilization that transformed the Western world, even as they waged relentless war against each other and their coreligionists. Religion was often the language of conflict, but seldom its cause–a lesson we would do well to learn in our own time. Instructrors: Request an examination copy here. - Polish translation (Posnan: Wydawniczy Rebis; forthcoming 2019-20). "This is a lively and interesting new account of medieval Spain and Portugal which steers away from the usual stereotypes and gives us a new, and much more nuanced account of relations and interactions between the various communities and faith groups in the peninsula." 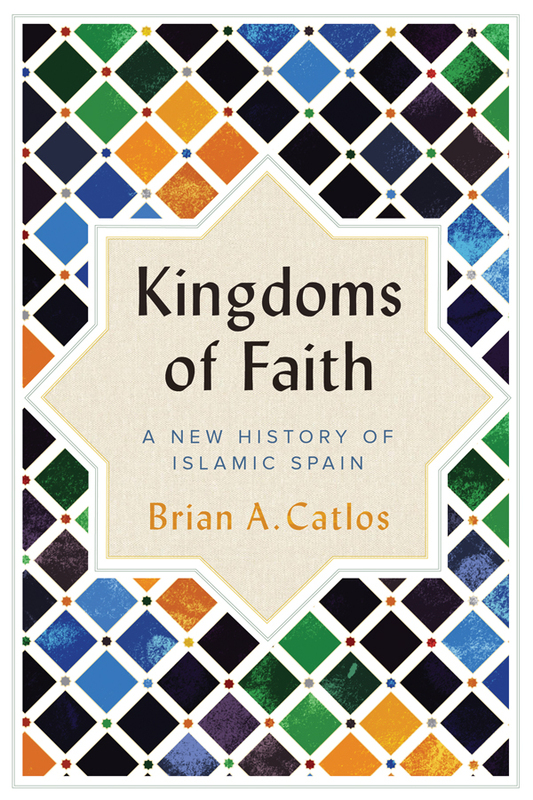 "Brian Catlos's Kingdoms of Faith offers an insightful and nuanced view of Islamic Spain from its origins in the eighth century to the poignant demise of Islamic presence, as exemplifed by his brilliant reflection on Cervantes's fictional Morisco character, Ricote. Based upon a masterly command of sources and the secondary literature, Catlos eschews the hyperbolic descriptions of Islam in Iberia and the exaggerated claims of tolerance while, at the same time, showing its many accomplishments and enduring legacy. It is a brilliant, well-written, and well-researched book that will force historians to see the Islamic presence in the peninsula in a new light." 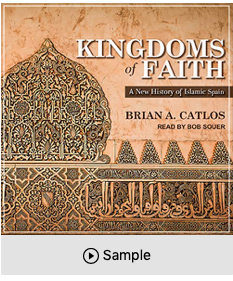 "In Kingdoms of Faith, Brian A. Catlos takes us through the kaleidoscopic interplay of Muslim-Christian relations, bringing clarity to a complex narrative. His deft analysis illuminates the forces brought to bear in creating both the myth and reality of life in 'Moorish' Spain." "Mediterranean studies have been shaped in an informative and innovative way by Brian Catlos’ contributions in the recent decades. His incursion now into the history of a specific region and polity – that of al-Andalus (Medieval Iberia under Muslim rule) - brings to the fore the same qualities that characterize his previous work: an inquisitive and incisive mind that hones in on perceptive questions, combined with the ability to recreate past events in an appealing manner for a wide audience." ‘Spirited, probing and original, this is a key history of Muslim Spain. Its unique perspective illuminates the vexed issue of religious, political and cultural interaction between Christians, Jews and Muslims, revealing its vital importance to the history of modern Europe." 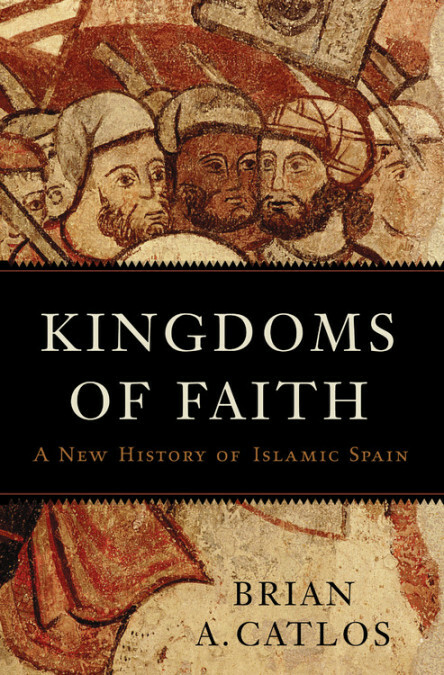 "In Kingdoms of Faith: A New History of Islamic Spain, Brian Catlos, a historian at the University of Colorado, expertly navigates between these clashing interpretations and presents a balanced account of the Muslim occupation of Spain and its consequences... Catlos has produced an excellent political history of al-Andalus." "Through repeated reuse and misuse over the years, the story of Islam in Spain has acquired a thick crust of legend and mythology. Brian Catlos's new history is valuable not only because it offers a reliable foundation for any discussion of the subject, but because it offers little comfort to either side in modern political disputes... Kingdoms of Faith is an exceedingly well-written and thoroughly researched book. Catlos's emphasis throughout on nuance and complexity is an essential corrective to the stark dichotomies proposed in much contemporary mythology." ".... Catlos unpacks historical interpretations that ignore facts or are flawed by religious partisanship, national myth, or imaginative legend.... Noteworthy is the author's examination of ethnic and sectarian interactions: Arab-Berber, Muslim-Christian, Muslim-Jewish, Christian-Jewish, etc. Especially instructive for today's world is Catlos's scrutiny of the Reconquista and Inquisition and their negative impact on Spain's Muslims and Jews. Summing Up: Recommended. Upper-division undergraduates through faculty and professionals." "Catlos has fundamentally changed the terms of an important debate by offering a wiser alternative to a path “between” eternal civilizational struggle and a glittering civilization of tolerant pluralism: a history of “Islamic Spain” fully integrated into broader Mediterranean and Eurasian patterns and which thus cannot be reduced to religious rivalry, foreign invasion, or indigenous legitimacy." "... Catlos has prodoced a siubstantial new synthesis, drawing on the latest Spanish-language scholarship... this is a gripping, colourful and humane account of a period that should be known better." "Brian Catlos's new book ... is a richly layered tapestry of kings, amirs, princes, ministers, knights, renegades, turncoats, scholars, clerics, slaves, craftsmen, merchants, consorts, palaces and fortresses, featuring Christians, Muslims and Jews....Catlos knows how to tell a story." "Catlos imparts an intimate sense of how members of different ethnic and religious communities negotiated subtle alliances and engaged in long-lasting cultural exchanges. The final lesson is that the legacy of Islamic Spain—“nine hundred years of creative engagement that took place despite religious difference” — endures." "In this new history of Islamic Spain, Al-Andalus, Catlos (The Victors and the Vanquished) aims to correct misconceptions of the region from its two common historical narratives... Relying on primary sources and considerable recent scholarship from Spain, North Africa, and Europe, he succeeds in producing a lively, engaging history. VERDICT Recommended for readers of Spanish, Islamic, and European history"